Boosted Boards makes a great product. We ride them, you probably do too. Only one thing was not perfect—the speed. We wanted to go just a touch faster, say 25 MPH. What's best for everyone might not be best for you. Our speed hacks let you trade some acceleration for top-speed. How does speed hack work? The speed hack is a replacement pulley for your boosted board drive wheels. The new pulley is smaller. That means that each time the motor rotates the board goes forward a little more than expected. Since the pulley is smaller the belt needs to be smaller too. How fast can the speed hack go? 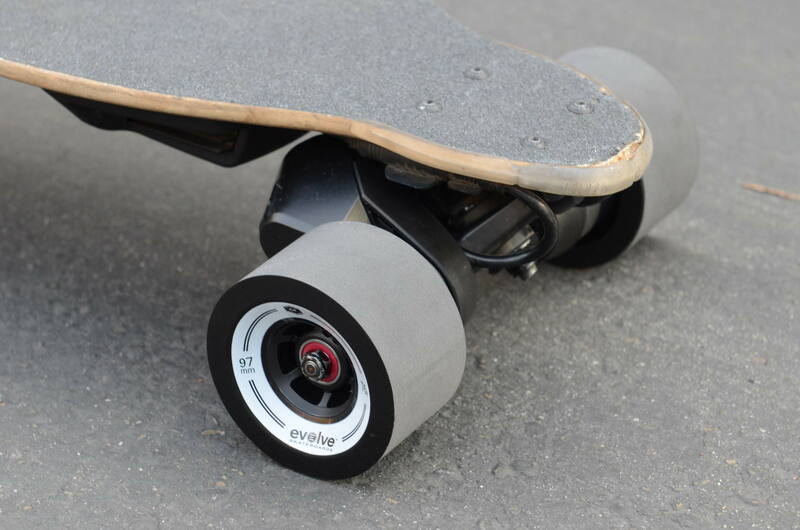 Boosted Boards come with drive wheels with 56 teeth, giving a drive ratio of 1:3.3. Our new drive wheels come with 45 teeth, giving a drive ratio of 1:2.6. By reducing the ratio we have increased the speed by about 25%, resulting in a sustained speed of 25 MPH. Go to the Download Page to get STL and SLDPRT files so you can print your own and hack your speed right away. You can order your own hardware, or get a hardware only kit. Don't have access to a 3d printer? Buy from our Shapeways Store. These prints are optimized for their process and have been individually ordered and tested by eboardhacks.com. Lower torque. Changing the ratio is a trade between speed and torque. We have extensively tested the board and feel the trade is worth it. It is not recommended, but during our testing we towed a second rider and still experienced satisfactory acceleration! Boosted Board V2 can be hacked to go faster than 25 MPH. Electric Skateboard Hacks does not recommend it. As speeds increase the motors have to work much harder to keep up with air resistance. The motors, battery, and electronics will run hotter and the battery will drain much faster. At 25 MPH the range is already significantly reduced, but like we said. It is worth it!